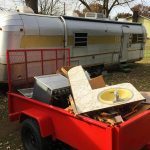 It’s been several months now since we brought Tilley home and at certain points of the renovation process it felt like we would never get to the point of rebuilding the inside. 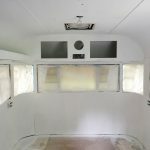 But after Jarrett finished resealing the outside of the camper earlier this month, it was finally time for some visual progress. In went the new wall board and things started looking like a camper again! 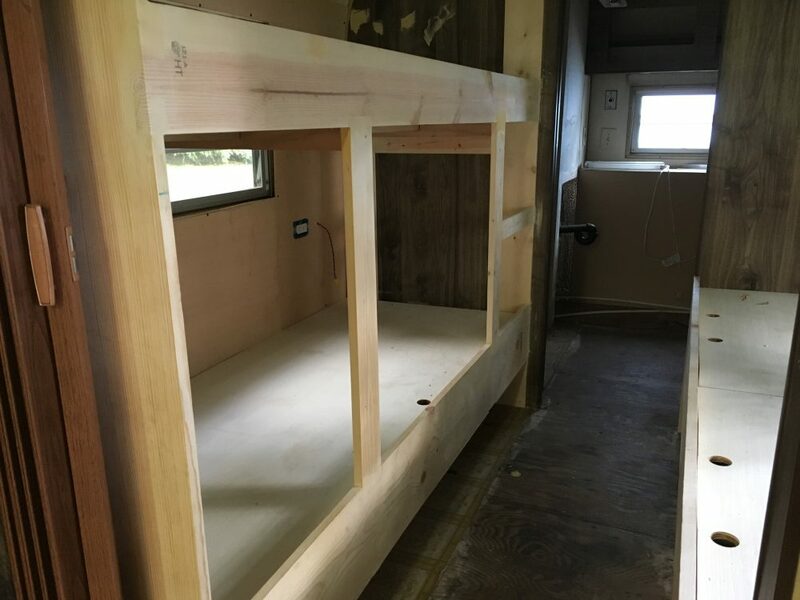 The next big project was rebuilding one of the single beds and then adding a bunk bed on the other side of the bedroom. 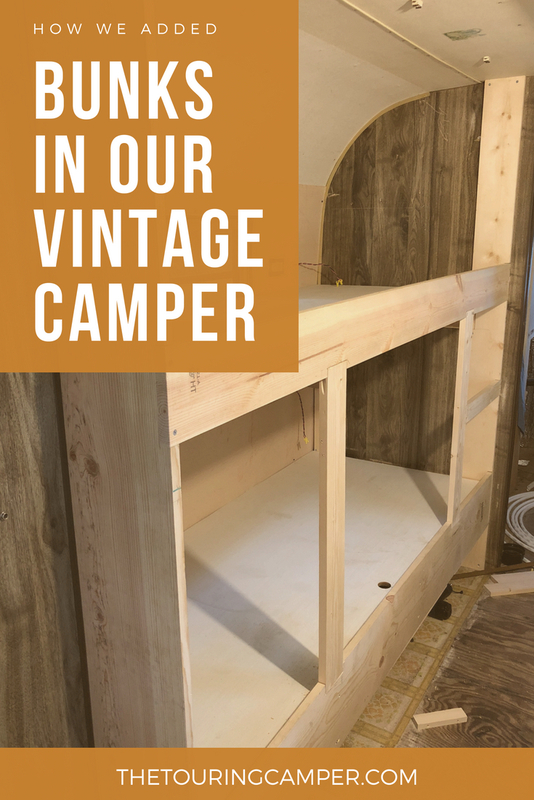 Nothing is ever as simple as it seems–especially with a vintage camper!–and despite all of Jarrett’s diagrams and drawings, he still hit a few roadblocks. But in the end, we were really pleased with how the new beds turned out. 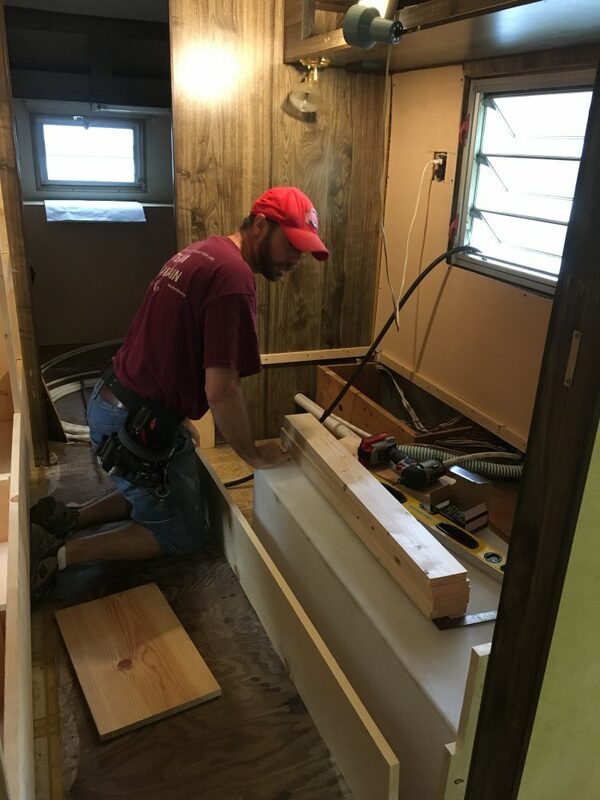 During the demolition phase, Jarrett removed the original bed frames as well as the cupboards over the one side. He also removed the Silver Streak’s original 60-pound galvanized water tank. 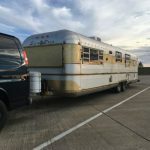 It was corroded and filled with nastiness–which is why I find it a bit disturbing that in the camper’s not-so-distant-past, someone had been living out of the camper. I’m just hoping he was tapping directly into city water lines rather than filling that tank. Yuck! 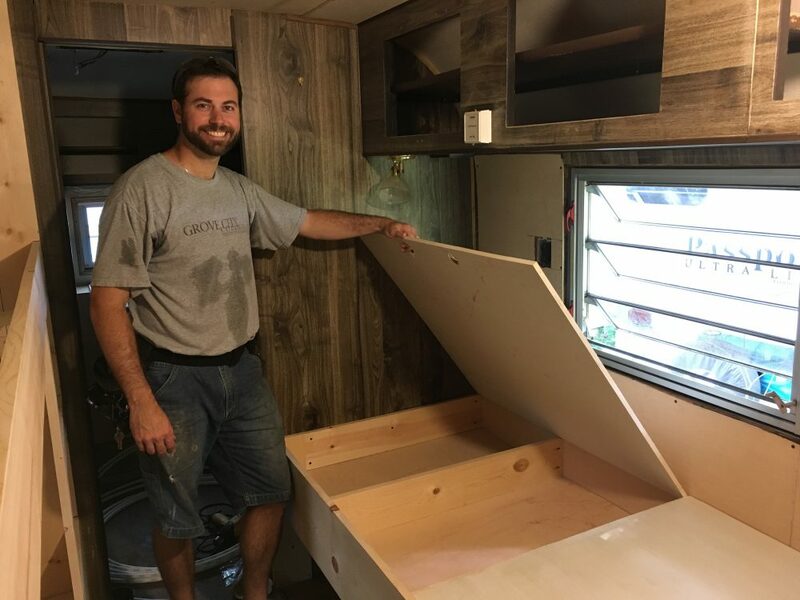 While this part of the camper was torn apart, Jarrett ran all new water lines to our new, 43-gallon plastic RV tank. The tank is a different shape and a little bigger than the original cylinder tank, so the new bed platform over it is a bit taller and a hint wider. 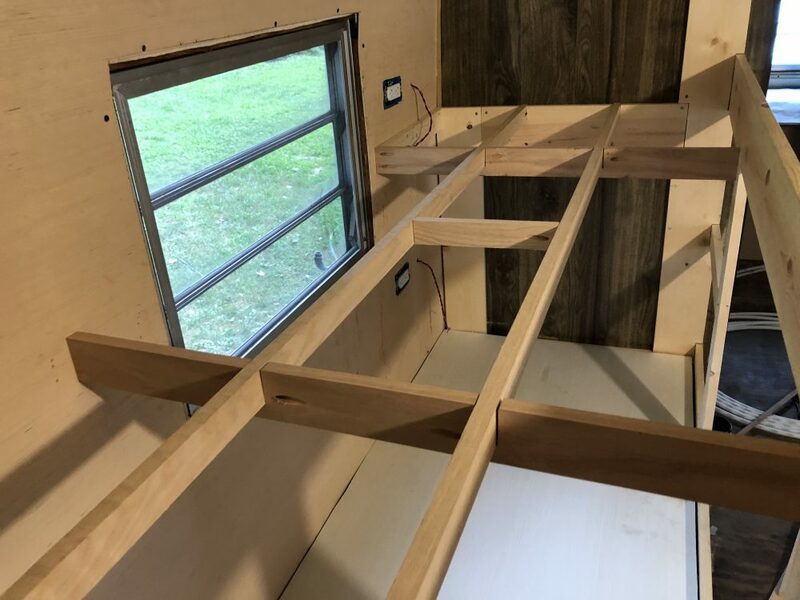 We also decided to add hidden storage compartments under the mattress platform. This is a great way to use space that would otherwise be wasted. 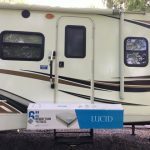 And now the kids each have an additional place where we can store their clothes for our long RV adventures. To make lifting the mattress and plywood platform a bit more manageable, Jarrett cut the board in half. The bunk bed itself presented all sorts of challenges. The biggest problem was the window’s location along the wall. 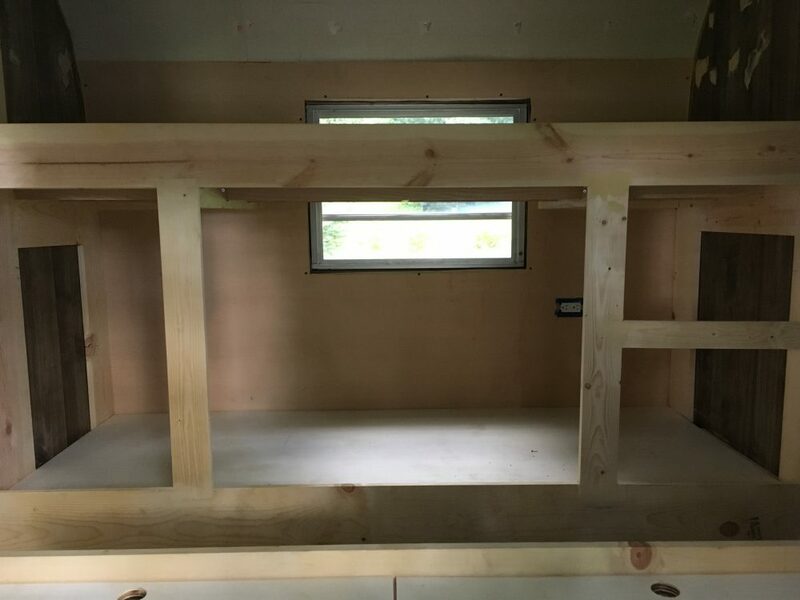 Unless we made one of the bunks incredibly narrow and therefore incredibly difficult to get in and out of, the bunk would have to bisect the window. This meant, however, that we didn’t have a good way of running a support bar the whole length of the bunk on the wall side. 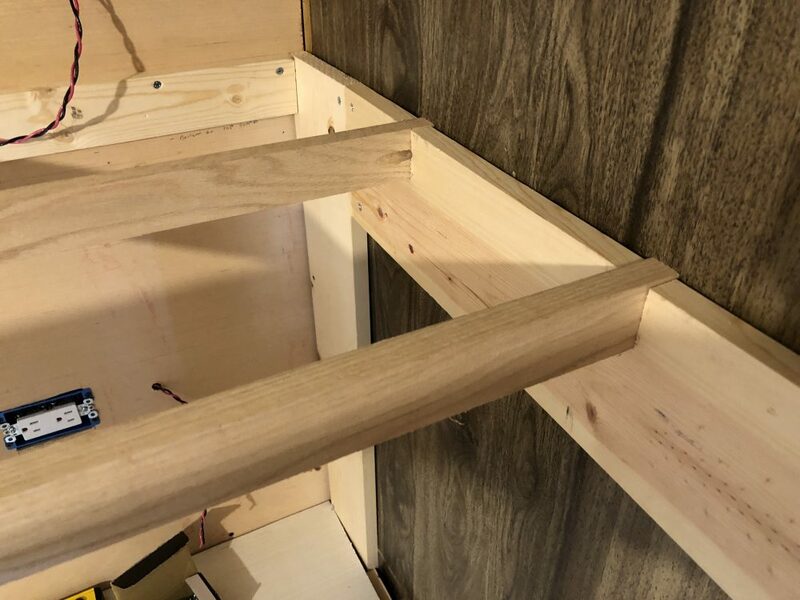 Jarrett’s first attempt at creating the upper bunk’s support frame did not produce a sturdy enough solution. And because we were both so frustrated over how to correct the problem, neither one of us remembered to take pictures. 😉 Thankfully a good friend came to the rescue with some suggestions that gave Jarrett the boost he needed to engineer up a much better solution. 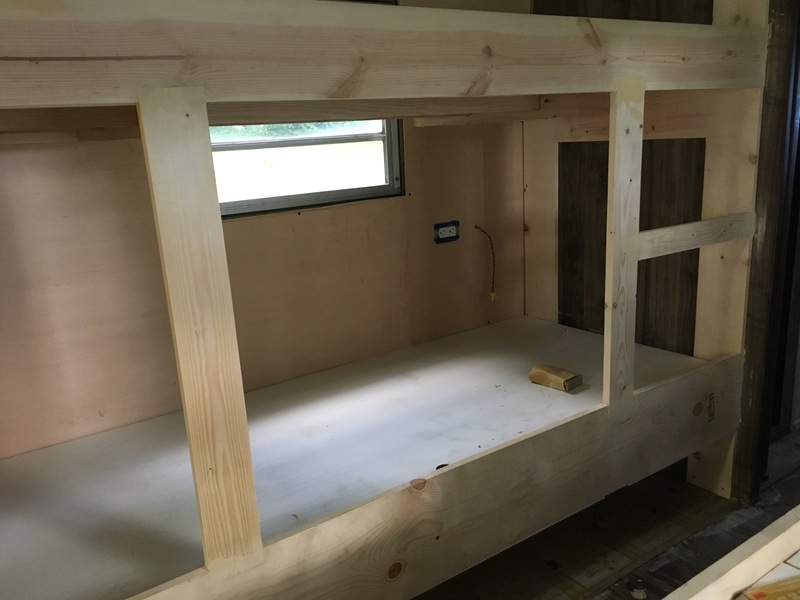 While most of the bunk frame was constructed of pine to keep our weight down, we used oak supports for the top bunk’s frame, and that switch made a huge difference in structural strength. Then adding several strategically placed support bars further increased the strength of the bed. 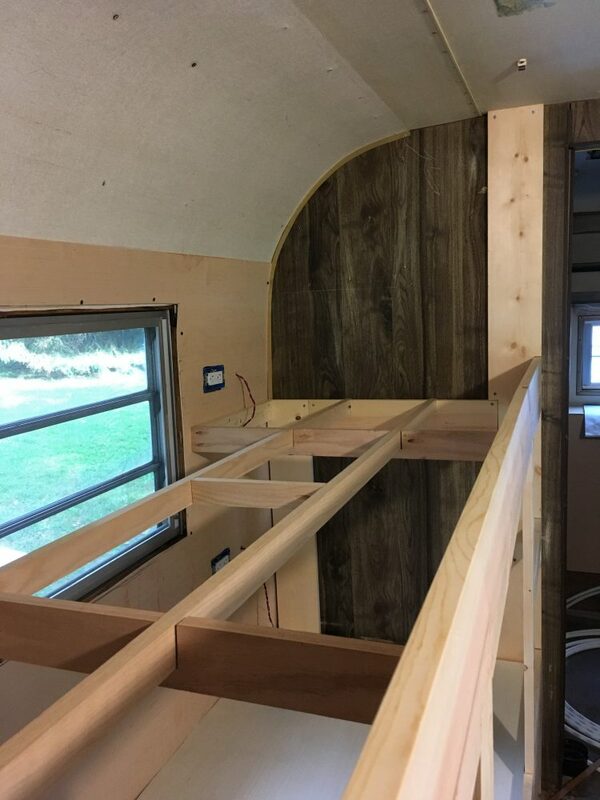 We didn’t do the best job of taking photos to document this process, but here’s an assortment of photos showing the progression at various stages. 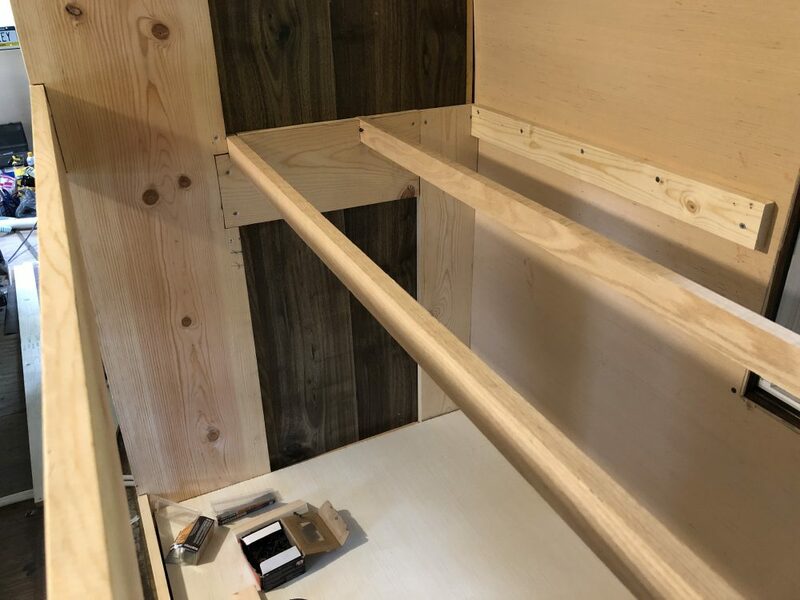 And as an added bonus, Jarrett even created some hidden compartments under the bottom bunk so that we have a place to store extra linens and other things we don’t need access to very often. 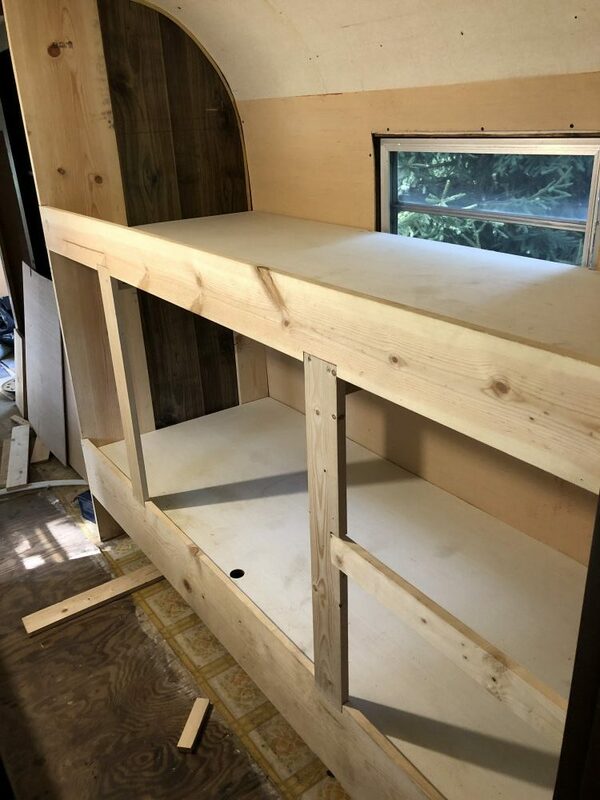 This was once again a great way to use what would normally be wasted space: Jarrett just built the cubbies around the wheel well and outside utility compartment. 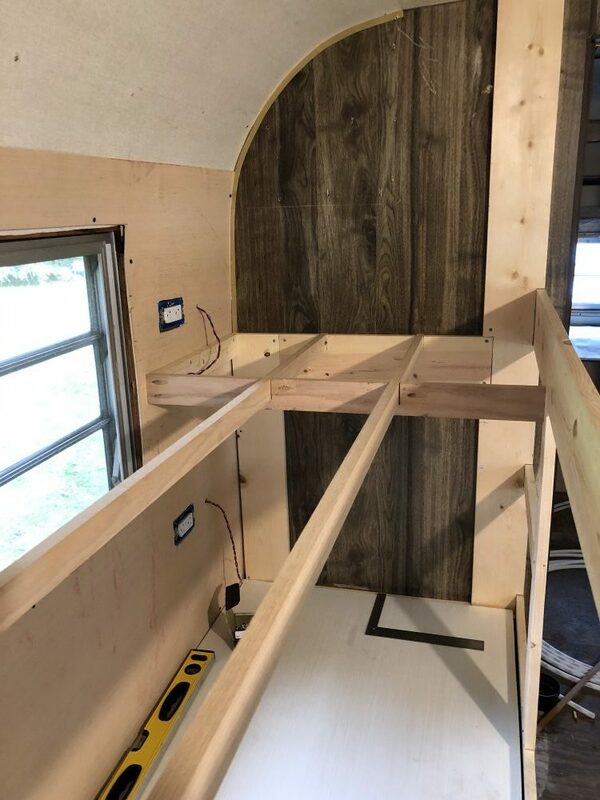 It’s hard to see in these pictures, but there is also an opening below the bunk: This space will have flooring running through it like the rest of the camper, and then it will be a place to stow our shoes out of the way. 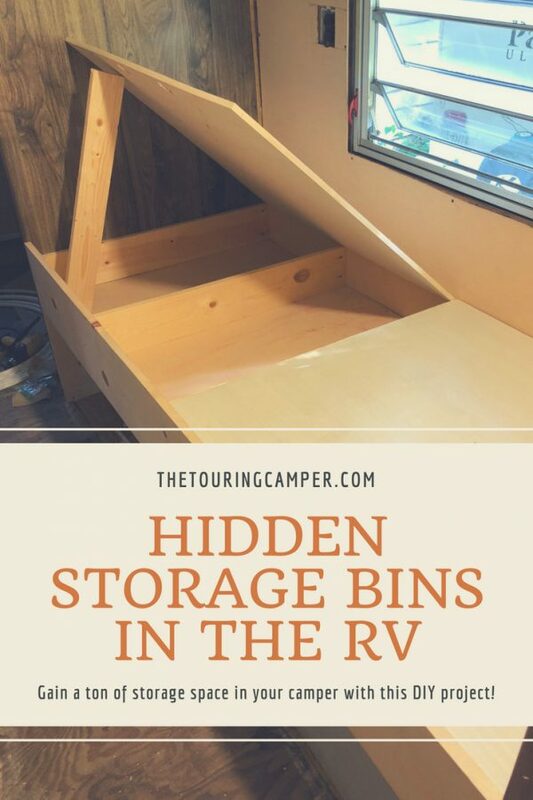 Since we are always stumbling over shoes in our current camper (even with our under-the-bed rolling shoe rack! ), I’m especially excited about this storage solution! 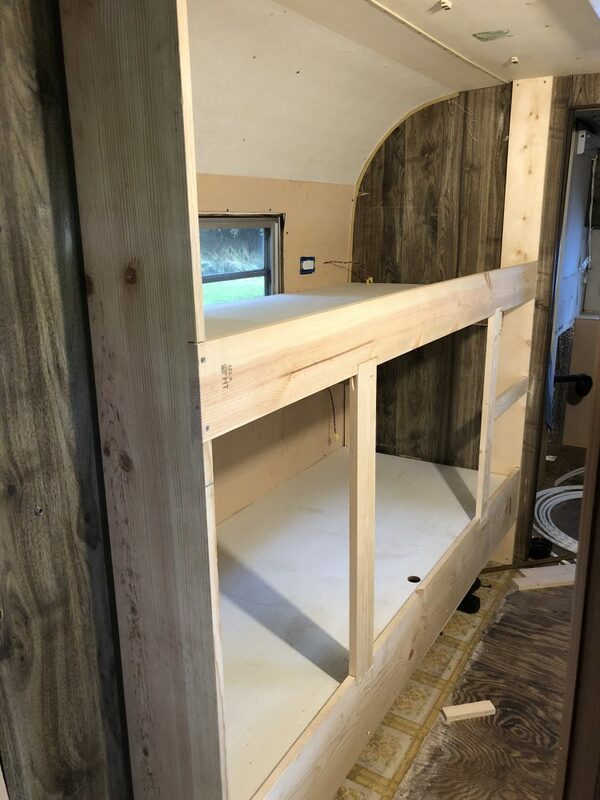 Now that the kids’ bunk room is ready to go, the next step is sanding, priming, and painting the ENTIRE camper. 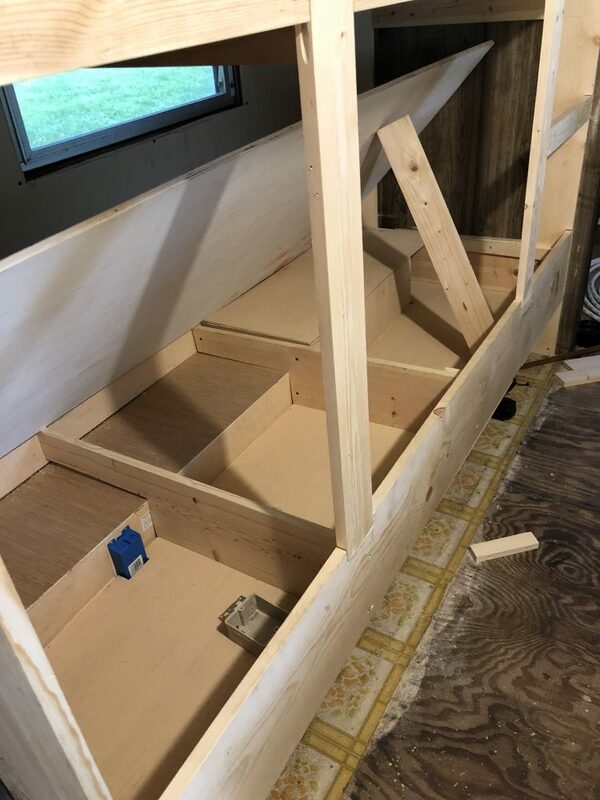 We are still getting a plan for how we are going to tackle this part of the project, but it’s most likely going to a be an all-hands-on-deck kind of family task. I told the kids they will probably be in charge of the inside of all the closets and cupboards where it doesn’t matter if there are some drip marks. 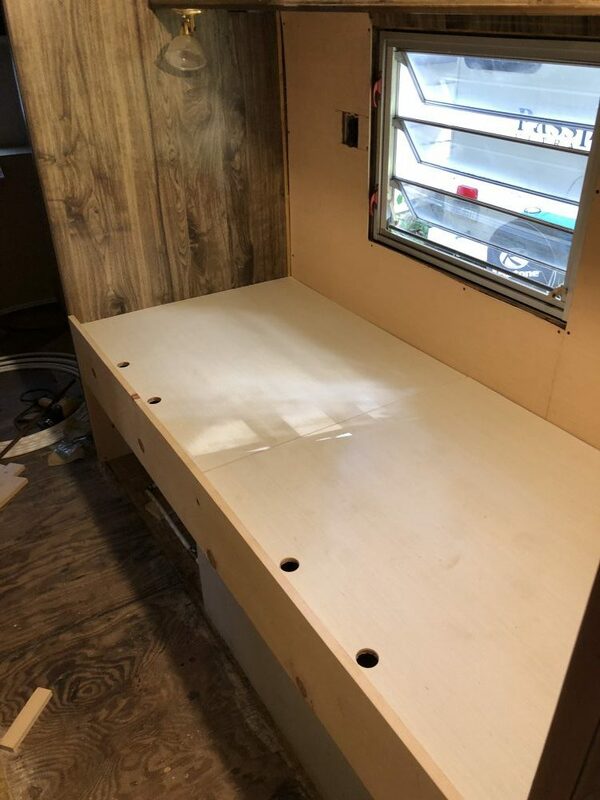 🙂 After we get through this next part, then we can start working on installing the lower kitchen cabinets and the camper’s flooring. Slowly but surely it is coming together! Tilley Project 3: Demo day!